Living an outdoor life, sometimes introspectively. 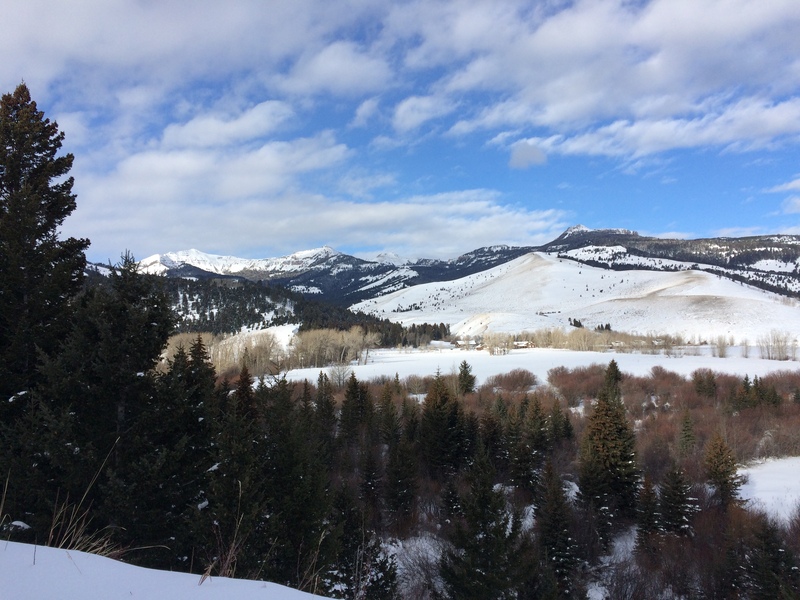 The following post is one I wrote last year after skiing with friends to a special place in the Greater Yellowstone Ecosystem. I published it on another blog that I share, called Writing the Wild. Today, many of the same friends and I skied to the same special place–it is becoming a yearly tradition. After a year I am more in love with public lands than ever. The words of Aldo Leopold come to mind more often these days, particularly his thoughts on some who cannot live without wild things. That someone is me. Wildness and wild things are the spiral that I have climbed from my earliest years. My Michigan childhood was spent wandering fields and orchards, climbing trees, later walking in awe in the old growth white pine cathedral called Hartwick. Then I discovered the mountains of the West and vowed to someday live in that wild sanctuary. It took time, but I landed in Gardiner, Montana. Less than a thousand of us are fortunate to call Gardiner home. Here, when it snows, people cheer. When it snows, people shopping in the Gardiner Market have a special spring to their step and a glint in their eye. Where the person at the check-out knows your name (and you know his) and asks you how the skiing was today. 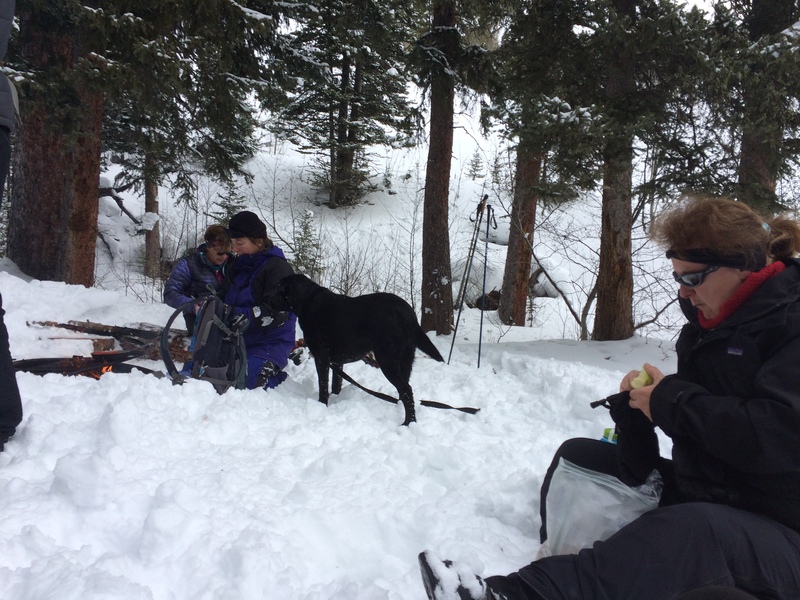 Gardiner is a town where we can mention that we want to ski and 17 people show up to break trail to a forest service campground where we build a fire and grin as we pass around home-made brownies and cookies. These friends love to ski and to share good times. But, they also gather around anyone who is floundering, as some did in the deep soft snow last Sunday. Clouds hung low, covering the mountain peaks as we hopped out of the cars and into our skis. The air warmed and the clouds thinned as we slid slowly across the landscape, rusty willows in the low valley to our right, tall spruce and lodgepole in the hills to our left. The wind abated and we stripped layers as we warmed. Snow and wind had obliterated the tracks we had put in a few weeks earlier. 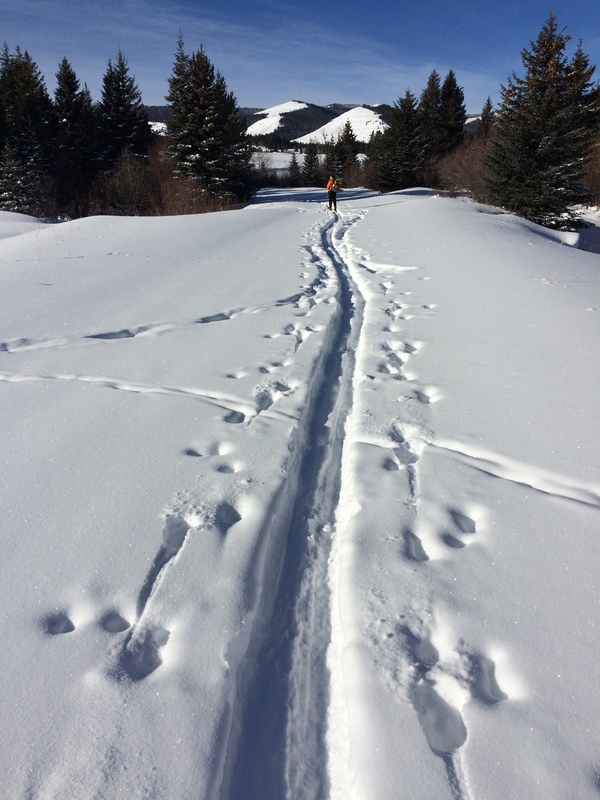 The front skiers broke trail, sometimes sinking in beyond their knees, sometimes cruising across the surface. The rear guard had plenty of time to enjoy the scenery and look for tracks. As the day wore on, fresh squirrel and weasel (ermine) tracks became more plentiful. We made our way to site 5 in the campground where we found our stash of wood and a surprised weasel bouncing away into the trees. Jane built a fire. Diane threw a toy for her black lab, Stitch. JoJo fried hotdogs in the frying pan she had carried in her pack. The rest of us passed out brownies and cookies and laughed as we sunk to our hips in snow around the picnic table. This is the essence of Gardiner: People who love public lands for whatever reason: hunting, fishing, hiking, camping, skiing. These activities feed our collective soul. 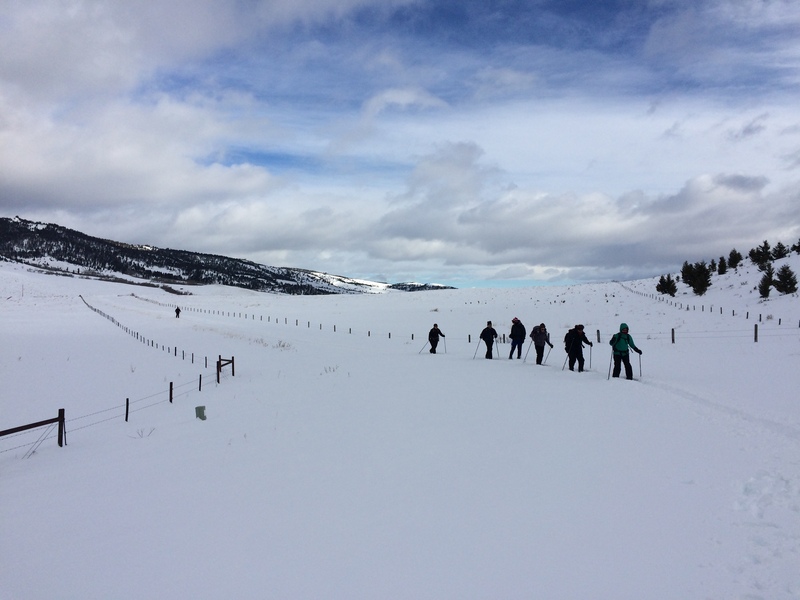 We gather most often in the outdoors on our national forest or park lands, where we find space to move, distant views, and adventures around every turn. And, this is the essence of ‘We the People’, of our nation. We need public lands. We need them not just for recreation, nor even for spiritual renewal. We need them for the grizzly bear; we need public lands for the wolf, for the elk, for the weasel. We need public lands for the lodgepole and for the lupine. More than money, public lands are the bottom line of our very existence. We are as much nature as the ermine that bounds across the snow, black-tipped tail a flag waved high. My life is entwined with public lands: National Parks, National Forests, BLM land… early infatuation has evolved into a life-long love affair. As relationships cannot be taken for granted, neither can we assume, in this political climate, that our lands will always be here. I find myself slowly, tentatively, moving into action as I watch Congressional bills, remember their numbers and make calls to my Representatives and Senators. It is not much, but it’s a beginning.